Breakfast is the most important meal of the day, right? Starting the day with nutritious whole grain cereal has numerous benefits such as helping to maintain a healthy weight, keeping you energized longer and regulating blood sugar levels and cholesterol. Here&apos;s a healthier way to start your day--cereal that has a new recipe. 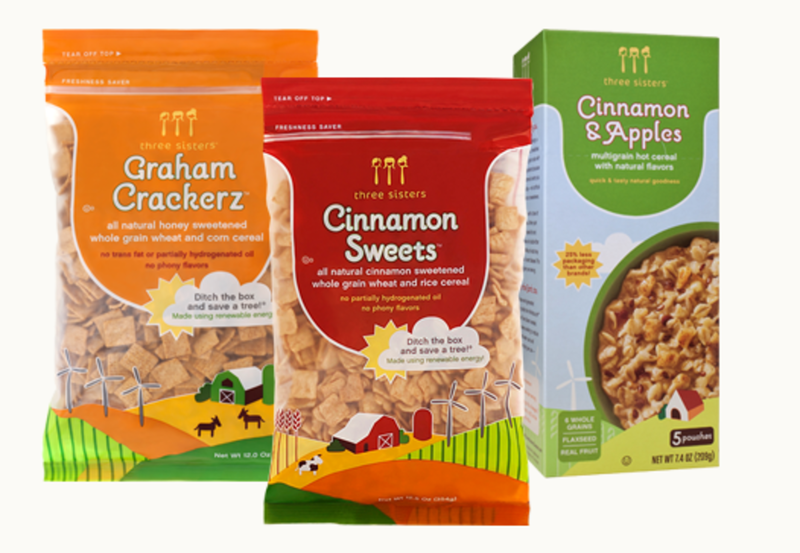 MOM Brands cereals has created a full line of breakfast cereals from brands such as Three Sisters, Mom&apos;s Best Naturals, Isabelle&apos;s Way and Bear River Valley as well as Better Oats oatmeal line. The cereals are delicious, contain no artificial ingredients and cost about 30% less than their competitors. Who wouldn&apos;t want a good tasting, healthier and less expensive way to feed their family every day? Thanks to MOMS Brands cereals you know you&apos;re starting your family&apos;s day the right way. The MOM Brands cereals are low in sodium, contain 44 grams of whole grain and have a high fiber count, making them good for overall wellness and good systemic health. I was able to sample three different kinds of bagged cereal from the Three Sisters line and I was happy with each of them. I sampled "Cocoa-Snapz," "Sweet Wheat" and "Marshmallow Oaties. "Although I don&apos;t serve my children any sort of "sugary" cereal, my hubby and I do enjoy cereal as a dessert treat. The "Marshmallow Oaties" are an oat cereal with natural (no dyes or artificial flavors) marshmallows. This cereal is healthier than other desserts, is filling, nutritious and has just enough sweetness to feel like a treat. The "Cocoa Snapz" are an all natural rice cereal that are made with real cocoa! Crunchy, chocolate-Y and sweet, this cereal hit the spot when I was yearning for a yummy snack but didn&apos;t want to overindulge! The "Sweet Wheat" are a whole grain wheat cereal, full of fiber, and just sweet enough to make such a hearty cereal really enjoyable. I choose to start my day with this one too, and I felt full for a long time after and feel good that I had a good amount of heart healthy fiber first thing in the morning. Three Sisters Cereals are all made in the USA! I loved that all Three Sisters cereal were packaged without a box. All the cereals were packaged in a big bag (ounces varied by cereal) that boasts "more cereal with less impact". Less cardboard boxes means more trees! This green minded mama also LOVED that Three Sisters cereal is made using renewable energy. Three sisters "purchases wind- generated electricity credits for 100% of the electricity" used to make their all natural cereal. They work hard to continuously reduce waste and water and recycle all possible materials. 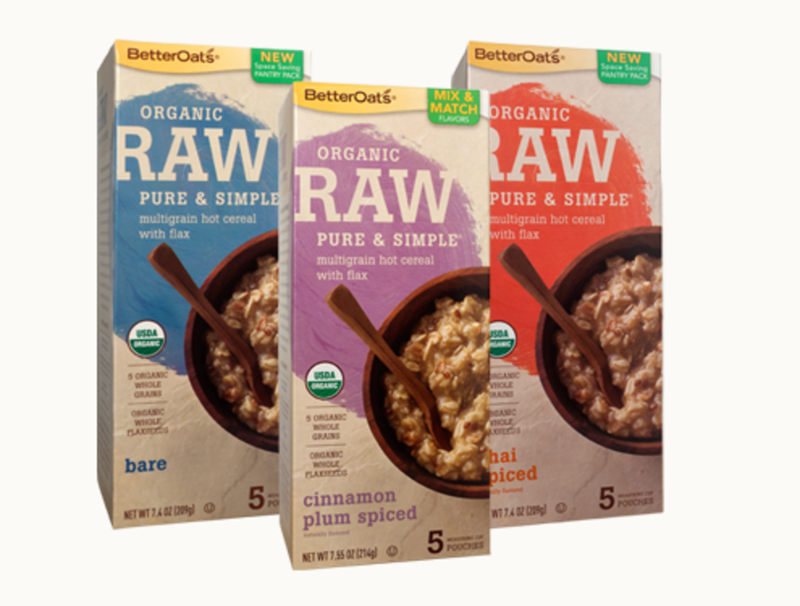 I was also able to sample their delicious Better Oats, organic RAW single serving oatmeal packets. I tried the plain, and other flavors and they were delicious! I don&apos;t usually buy products that are in single servings, etc. but I have to confess that it was nice being able to send a packet with my husband so that he could start his day off right. The oatmeal contains flax seeds for added texture and fiber and even the plain oatmeal just tasted better. They cooked up easily, and the flavored variety had fragrant smells and real fruit for an appetizing and really delicious meal. I could have eaten six bowls of the Chai Spiced oatmeal, it was that good. You can enjoy MOM Brands cereals by using the store locator here. Enjoy a delicious, nutritious, healthier way to start your day! Momtrends was not compensated for this post. We did receive samples to review.